Hope you had an awesome time with your Valentine. Lots of love and surprises and gits in the air! And yes what a tremendous way to start off the world cup tournament! Way to go Men in Blue. 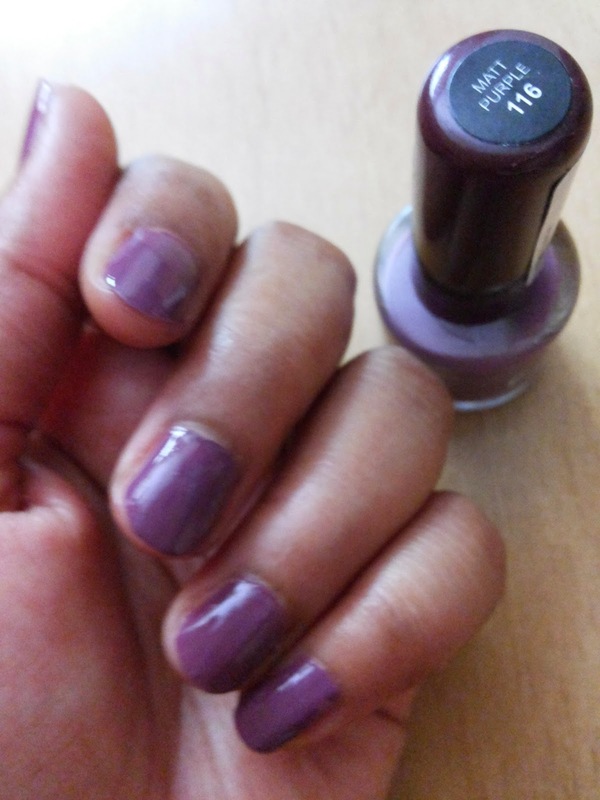 Today's NOTD is focussed not on blue but on a color that I feel is very romantic. Other than the usual reds and pinks, purple has got that factor with it, which makes it a color preferred by all and for all seasons. By the way folks, Happy Mahashivratri to all! 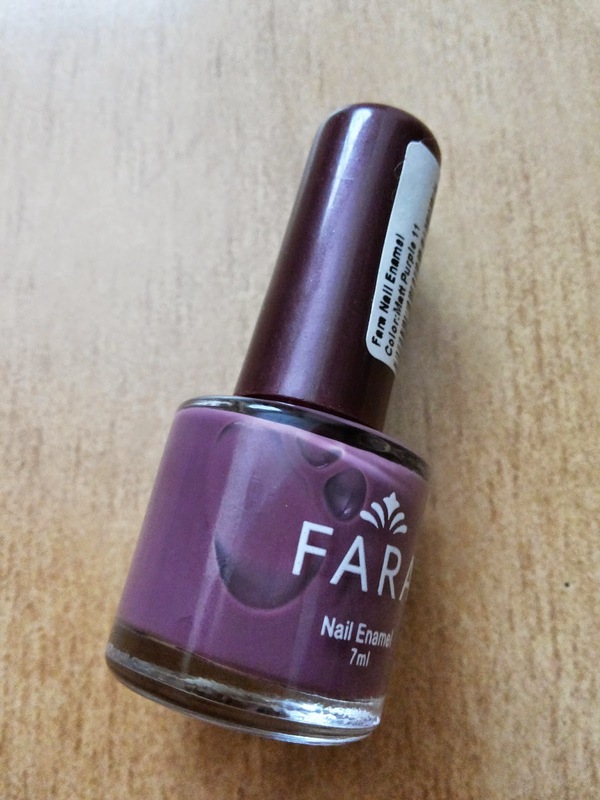 I saw this nail paint from FARA on an e-commerce website (I don't remember which, now) long time back, loved the color and bought it. Have used it multiple times and so now decided to show it you all. The brush is pretty good and gives a non-streaky finish. The pics show double coat of the paint. 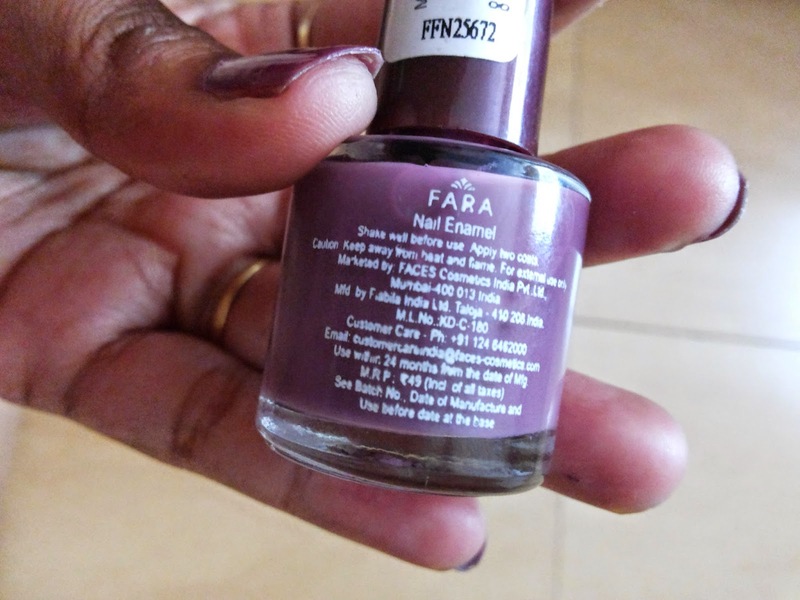 The color does not stain the nails which is a big plus coz I was worried about it, as this is always the problem with lesser known brands. The color pay-off is really very pretty and now I leave you with the pics. Enjoy! 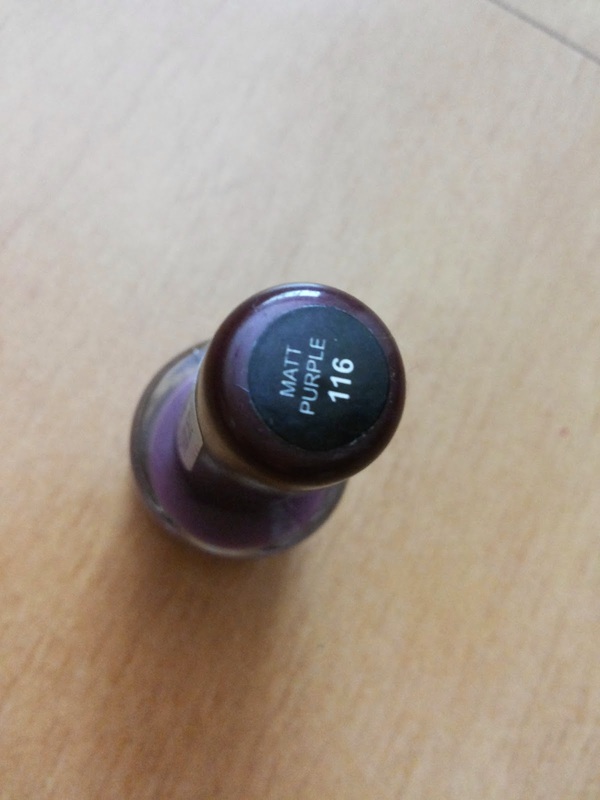 i haven't heard of this brand but the color looks lovely ... is it really matt ? 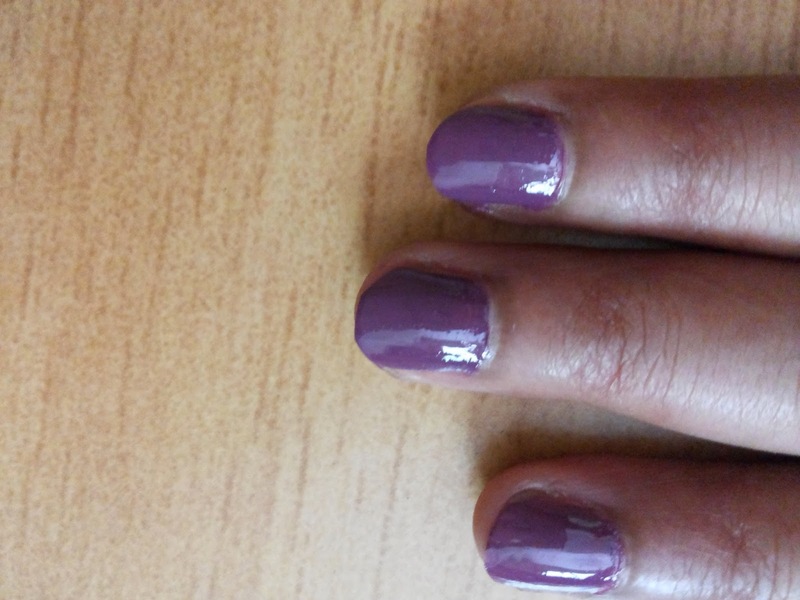 It is more on the glossy side but the shade it really pretty. The shade is very beautiful!! Nice NOTD.. hearing about the brand for the first time!